Product packages are often the design equivalent of having a hammer driven into your eyeballs. Buzzword-y text everywhere, disgusting color overload, and corny cartoon mascots. So why not strip it all away and let the thing's name speak for itself? 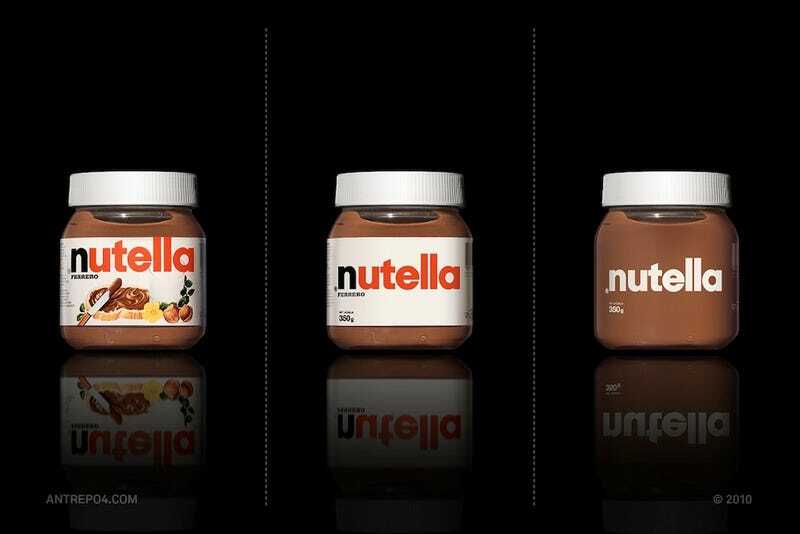 Design firm A2591 took popular tasty products (well, excluding spray cleaner and condoms) and gave them a minimalist makeover. All the extraneous crap, scrubbed away. Each item gets two version—one with some of the orignal's elements left over, and, my favorite, a radically stark iteration with pretty much nothing but the name on the cover. Beautiful typography. Simple, popping colors. Tasteful. Think Cornflakes, without a big goofy picture of cascading milk into a Grand Canyon-sized pit of cereal. We all know what Cornflakes are—we don't need the helpful illustration.